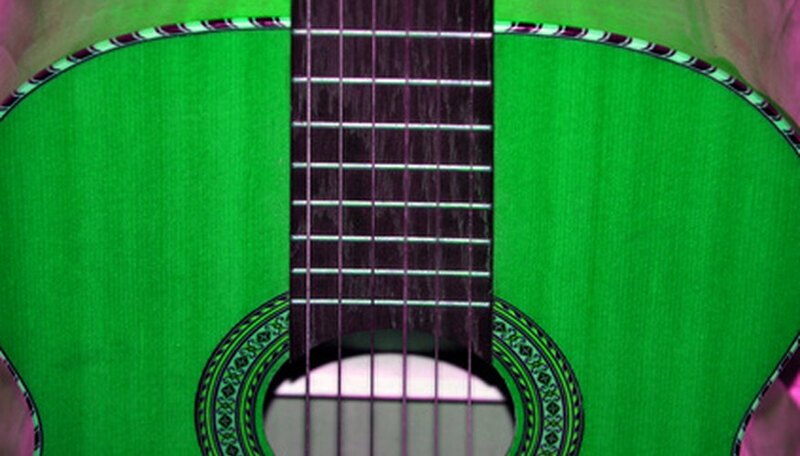 You can turn your acoustic guitar into a personalized work of art by using the wood as your canvas. It's easy, and though it takes a little time, you can do it in stages. It's one of the funnest art projects you'll ever embark on. Spread a drop cloth on your work surface. Work in a well-ventilated room, or outside. Sand the surface of the guitar's body until the wood is slightly rough and the shiny finish is gone. It is not necessary to remove all the existing color. Do not prime the neck unless you don't plan to play the guitar. Brush on the primer in thin dabs with a three-inch brush or with spray. Cover the top and sides first, allow to dry, then cover the back. Repeat process one more time, or if you're a perfectionist, twice more. Using fine sandpaper, smooth the primer coating after it has dried. 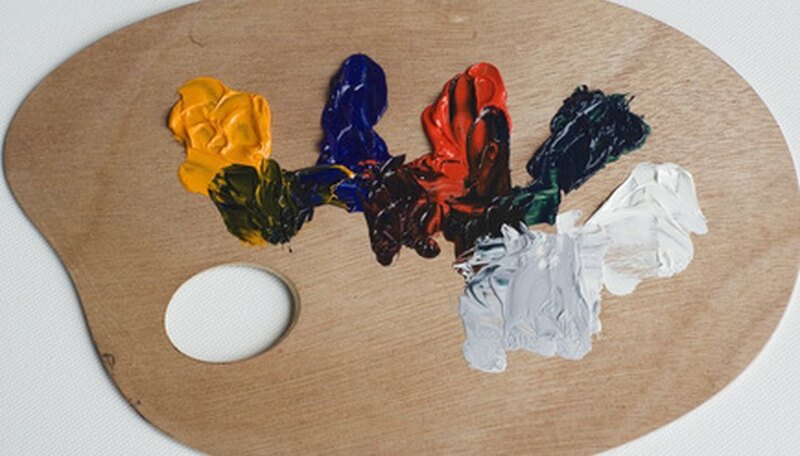 Choose the underlying color for your design and paint over the primer with a 3-inch brush. Bright colors are best; darker backgrounds can make for a murky finished product. Go wild! Use detail brushes for fine work, or finger-paint if you so desire. The only limit is your imagination. Sketch out your ideas on paper before you apply paint brush to guitar. Painting an acoustic guitar is a great kid project, too, especially if your young ones are enthralled with Guitar Hero. 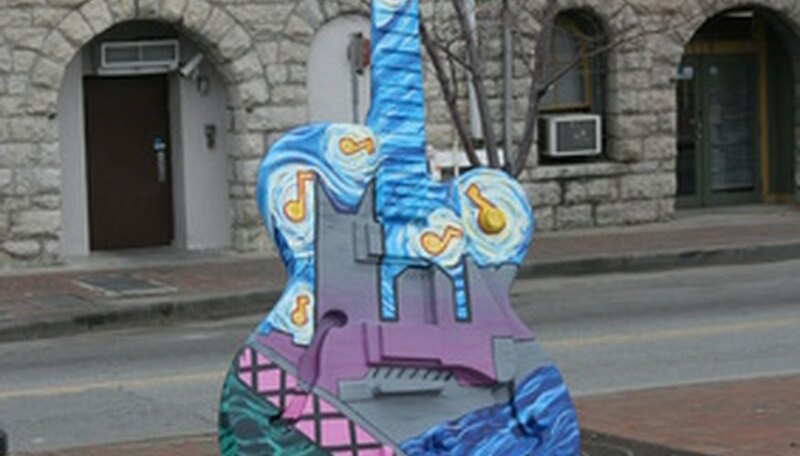 Be aware that in most cases, painting your guitar will diminish its resale value. Martin Booe writes about health, wellness and the blues. His byline has appeared in the Washington Post, the Los Angeles Times and Bon Appetit. He lives in Los Angeles.